Throughout my time planning and executing global recruiting events for LinkedIn, I worked on a total of 79 different projects ranging from Intern Events to Hackathons to Open Houses and Metropolitan Recruiting Conferences. The most successful experienced recruiting project that I owned was in partnership with a Diversity Program manager at LinkedIn. The event reformed the traditional Recruiting Open House into an 'Open Mic' by infusing music, networking, guest speakers and opportunity for a new job. The first event was a huge success, resulting in 7 hires and a record high NPS of 96.6. During my time support LinkedIn's campus recruiting efforts, I planned and executed several events for the Global Intern Program, Entry Level Talent Program, as well as hackaton and larger recruiting events. LinkedIn's first annual Intern Olympics united 150+ interns from offices across the United States. The day consisted of a friendly competition between different teams that worked collaboratively throughout the day. HOLA's goal is to advance Latinos through their increased participation in the global workforce. As the HOLA's External Partnerships lead, I've been responsible for building relationships with all of the other Latino employee resource groups in tech and provide our members with opportunities for personal & professional growth through events. My goal has been to create as many belonging moments for all Latinos in tech by constantly creating safe spaces for people to feel like they can be their authentic selves. During my first month in this role, I hosted an event that welcomed 165 Latinos from 82 different companies for a night that included networking, a private screening of "Being ñ", and an opportunity for attendees to share their stories with the director of the film. Attendees gave the event a Net Promoter Score of 90. Check out the video below for a full recap! Also, worked on a project in partnership with Univision in which we welcomed 120 attendees for a full program, guest speakers, and professional mixer. Recently launched an entertainment company with a friend to provide live events for the Bay Area community. Currently working with DJs, Performers, Venues, Nightclubs, Vendors etc. Music selection includes: Latin, House, Hip Hop, Afrobeats. Handle all in-house: Marketing, Contracting, Booking, Banking, Payroll etc. 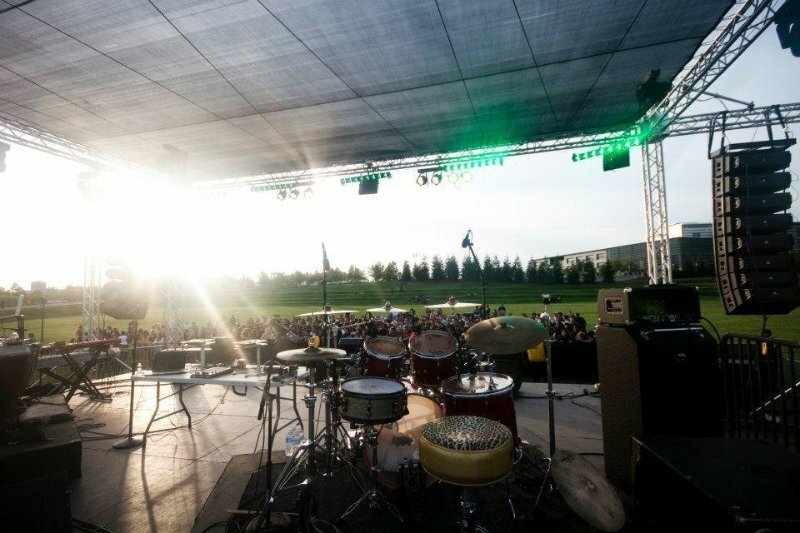 Our 2018 goal is to host our first mid-scale outdoor concert for 2,000 - 3,000 people.